Prior to being a junior mining IR consultant and blogger, I used to be in equities research and trading. Back in those days, I studied the markets intensely looking for buying opportunities. I used a variety of technical indicators, technical analysis, fundamentals, and intuition to guide my decisions. As discussed in this post, I think there is a good chance that we saw a market reversal on Friday. 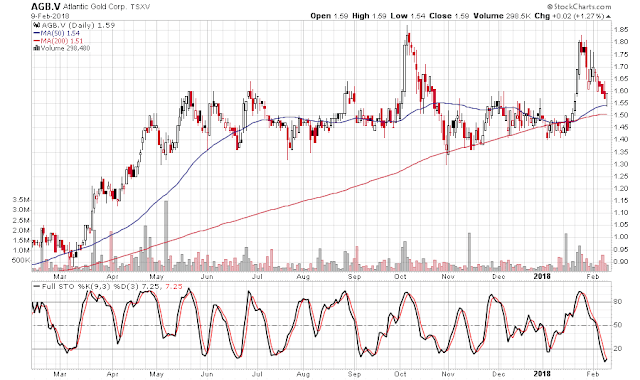 That sets up what could be a significant buying opportunity. The equities market is constantly evolving and changing. This bull market is quite different from the last, as there is a lot more computer-based trading, a lot more passive investing (i.e., investors buying ETFs instead of actively managed funds), and a remarkable lack of volatility. Most investors have become accustomed to the low volatility, making the recent market pullback seem shocking when, in fact, it is quite normal (historical charts here). My belief is that we are in the latter stages of a bull market and that the bull market is intact. Valuations are expensive and interest rates are on the rise, but global growth trends are supportive. Consequently, I expect equity markets to recover and trade higher. In the short term, equity markets are not efficient and investors are not always rational. Many decisions are driven by fear and greed. 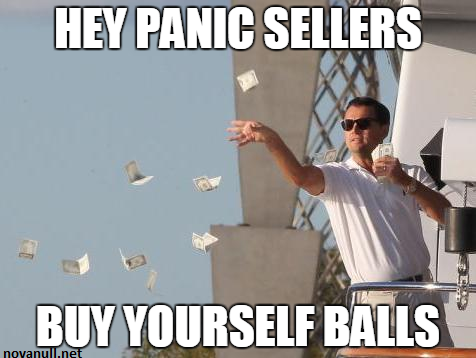 During corrections, investors who may have been buying out of greed may suddenly panic and sell. As the sell-off intensifies, selling pressure can escalate and buyers may think twice before acting. I'm not a die hard believer of technical analysis, but I do believe it is a valuable tool. The reasons for that are often rooted in psychology. For example, an investor waiting to buy shares during a correction may wait until a stock or an index is at a support line or at a certain moving average before buying stock. Similarly, investors often prefer to buy stocks at round numbers. Just look at Apple shares on Friday, which found support at $150/share. There is nothing special about $150 from a fundamental perspective; it is just a nice round number where more investors will place bids. Candlestick patterns can also be useful, especially for spotting trend reversals. One of the most reliable bullish candlestick patterns is a hammer, which is a candle with a long tail and a short body at the top. This candlestick pattern forms when a security trades down significantly from the open, then rallies back to close just below or above the opening price. What this signifies is capitulation selling (scared investors dumping) that triggers bullish investors to step in. Sellers are cleaned up and buyers take control. 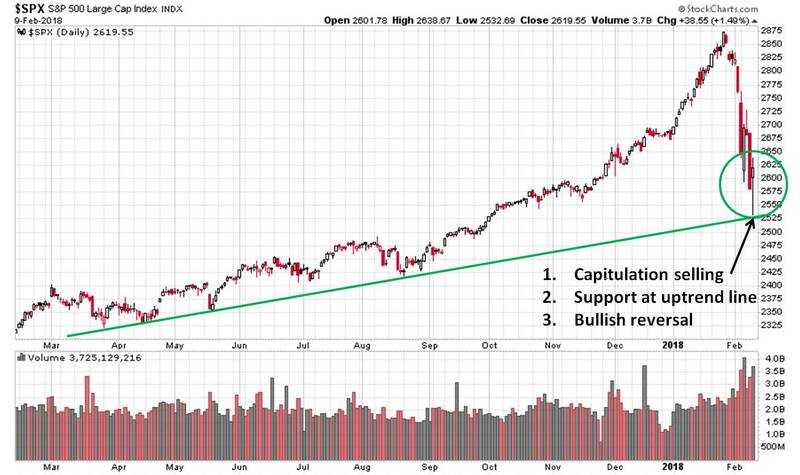 As can be seen on the chart below, the S&P 500 held support at the uptrend line on Friday and subsequent buying resulted in a nice reversal candlestick. It is not a perfect hammer, but I think it conveys a similar message that we may have seen the bottom of this correction. Other tools I use to aid in identifying overbought and oversold markets are sentiment indicators. An easy indicator to use is the percentage of stocks trading above their 50-day moving average. Generally speaking, markets are overbought when this number is high and oversold when this is low. I've drawn lines at 20% and 80%. This indicator is not very precise for picking market bottoms or tops, but can be useful for market timing. As long as there is no trend change (i.e., bull market to bear market), buying when this indicator is at an extremely low level can be quite lucrative. 2. Recognize when you are wrong and preserve your capital. In the context of this blog post, that means that if you go on the assumption that Friday's market action was a reversal based on candlesticks, then you better watch trading closely on Monday to make sure that the reversal pattern is substantiated rather than negated and have an exit strategy. 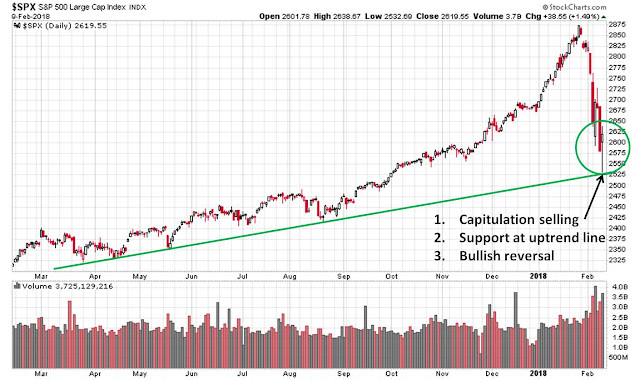 For example, if you buy SPYs for exposure to the S&P 500, take your losses and get out if the uptrend line is broken. The other important thing I've learned in the markets over the last two decades is that, at times like these, it is best to buy securities that are liquid and high quality. Sure, you could use this pullback to buy more of your favorite junior mining stocks, but that adds a lot of risk. The other mantra of this blog is to look for low risk, high reward opportunities. In this case, to me that means buying things like call options, ETFs, and large cap stocks. If you buy the S&P 500 at 2625 and it goes back to its highs, you achieve a gain of 10%. On the other hand, if Friday's reversal fails and you exit the trade at 2500 you will have a 5% loss. My gut instinct is that there is a higher probability that markets go higher from here rather than lower, so 10% upside potential with 5% risk seems attractive. Of course every investor's circumstances are different, so do your own due diligence, consult an adviser, and keep in mind that this blog is free and should not be construed as investment advice. What would I buy in the mining sector? Quality names that are attractive takeover candidates. The reason I like takeover targets is that the takeover potential tends to put a floor on the share price, since the likelihood of a takeover bid will increase if the share price drops. I really like Atlantic Gold (TSXV: AGB), which has a fully diluted market cap of CAD$394 million (plus CAD$135M in debt for an Enterprise Value of approximately CAD$530M) and is one of the few gold companies that has successfully put a mine into production. This is a notable feat - just ask Pretium, TMAC Resources, Klondex, Red Eagle, etc. Atlantic Gold is now a low cost gold producer in Nova Scotia, Canada. Production is currently about 80,000 ounces of gold per year, but that is expected to increase to 200,000 ounces per year. It's costs are first quartile, meaning juicy margins and the ability to survive even if gold prices decline. Atlantic is also a good size - not too big and not too small - as an acquisition target. I believe there is a strong chance of a takeover bid in 2018. Atlantic Gold is one of the few stocks that I've been keeping an eye on, as it has been putting out lots of positive news lately. It hasn't pulled back much on the back of the recent market decline and gold's failure to break out, but it is 12% off its highs and is currently oversold (based on stochastics). I think this is an attractive entry point. The other stock that I've been patiently waiting on to pull back is NexGen Energy (TSX: NXE). 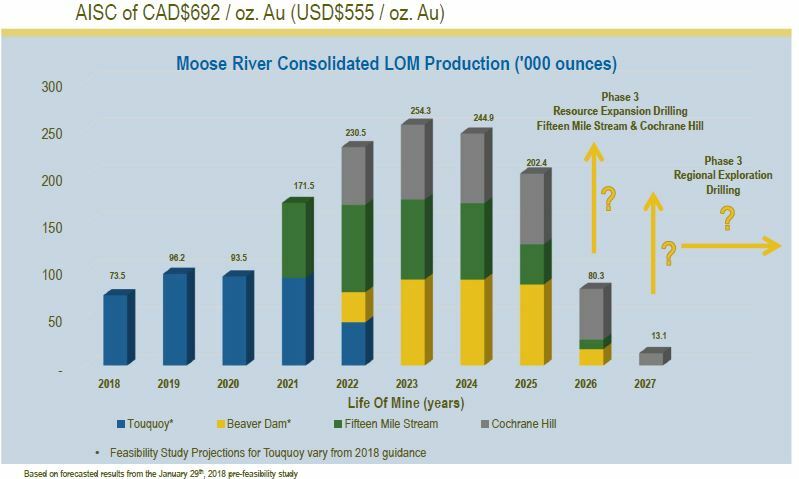 The uranium sector is out of favor (for good reasons), but NexGen truly has an amazing discovery in the Athabasca Basin that keeps getting larger. 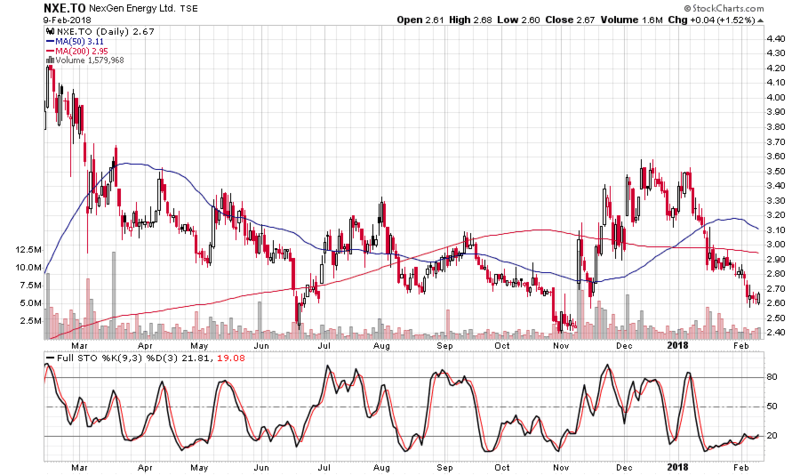 NexGen is a stock to just buy and forget about. At some point the uranium sector will turn around and a major mining company is going to covet NexGen. I've missed the opportunity to buy NexGen at $2.50/share the last couple of times it traded down to that level, but this time I plan to pick some shares up. Even in the absence of a takeover, NXE has been trading in a range between $2.50 and $3.50, which presents potential upside of 40%. 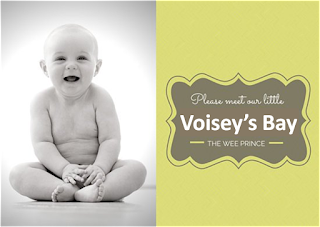 Finally, if you want to know what not to buy, do yourself a favor and go read the IKN blog. Avoid companies run by promoters, liars, former Bre-X supporters, and gringos that piss off the locals. Now is a good time to dump any crappy stocks you have and to buy quality.